Our music library is simple to use. This guide shows you the basics and provides links to more information if needed. There are several ways of finding music and sound effects in our libraries. You can use the category links or search feature. All audio tracks can be previewed in their entirety. The 'preview' watermark is not present on licensed versions. Once you have found music or sound effects that suit your requirements you can purchase credits in order to license and download the audio. We have a variety of licensing options for most uses. The green License & Download button on every track takes you to a page that clearly displays license options and costs. To help you, all of our tracks have detailed information in plain English covering what you can license our music for. Next: Carry on reading this guide or you may also wish to read What is Royalty Free Music? and what the term means. Before buying from us you must register an account. This stores all of your licensed audio and agreements for future reference and enables us to send you receipts for your accounting purposes. In addition, you can save your track preferences in My Lists and find other useful support information. Next: Carry on reading this guide or register here to use our services. The license type options for each track show how many download credits are needed. You can load your account with just the credits you need or top up with credit packs and get a generous discount. Our credit packs have discounts built in so the more credits you buy, the more you save. And you don't need to hunt down the credit card every time you need a download. Once you have purchased credits you can download your audio directly to your computer as a wav or mp3. In addition, your licensed downloads are available in 'My Account' where you can re-download them at any time. Your licensing documentation is also stored there for safekeeping. That is pretty much it, however we are available should you need any help. 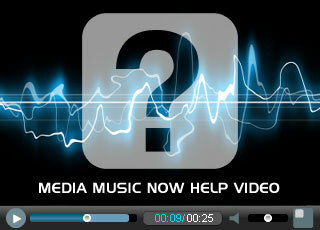 Next: Browse our royalty free music, browse sound effects or buy some credits here.